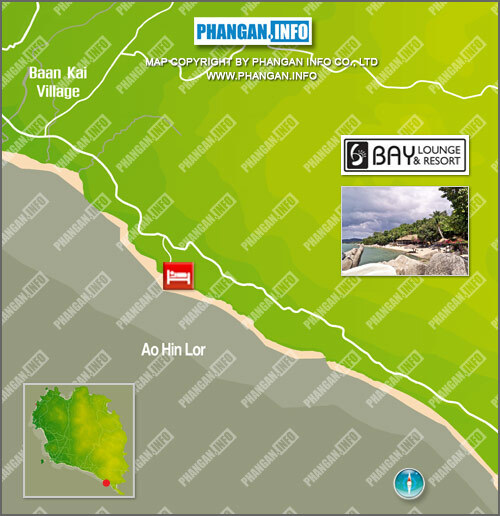 The Bay Resort is situated in a secluded cove on the sunset coast of the Had Rin Peninsula in Ao Hin Lor. The resort has an incredible backdrop of huge granite formations that provide shade to the lounge and bar. Although it is less than 3km from the Full Moon Party, it seems a million miles away once you settle into the serene surroundings and chill out on the 160-metre private beach. The spa is a great way to relax after a long night of full moon party. An oil massage by the pool with the sound of the waterfall is what you need after a full fun night. Ao Hin Lor literally translated means "Bay of Rocks that Entice" and this distinctive piece of Koh Phangan's coastline is dominated by huge boulders that thrust out of the sea and the surrounding hills. The beaches take on a fairy tale appeal with idyllic sheltered coves surrounded by granite rocks and long stretches of uninhabited sandy shoreline lined with lush green tropical flora. 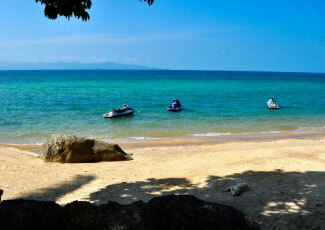 Ao Hin Lor runs into Ao Bangson and forms an unbroken 2km stretch of white sand beach, perfect for secluded sunbathing or a sunset stroll into Had Rin. There are a few beach bars dotted along the coastline and very little else, so the noise from the party capital will never interrupt your stay.